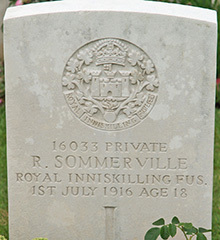 Robert Somerville was the son of Robert and Nellie Sommerville. 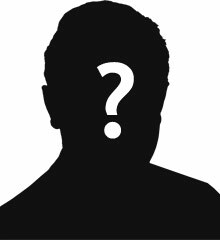 Robert was born in Ayr, Scotland about 1898. The 1911 census shows the family had moved to Derrygortrevy, Dungannon. Robert was 13 and still at school. Robert Somerville enlisted in Donegal. Private Robert Somerville was serving with the 9th/10th Battalion of the Royal Inniskilling Fusiliers when he was killed in action on the first day of the Battle of the Somme, aged 18 years old. 6 War Graves Photographic Project Photo of Robert Somerville's headstone can be purchased here.